Get your snorkel, face mask, and flippers unpacked! 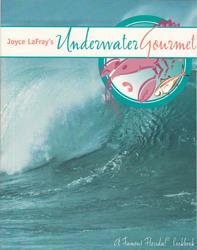 Here’s your “underwater” tour of recipes for preparing a feast of Florida’s Seafood delights. These popular and time-tested recipes come from kitchens of famous restaurants across the Sunshine state. You’ll also get tips on catching, buying, and storing the rich variety of fish and shellfish Florida’s water hold. It’s and adventure in cooling and dining you won’t want to miss!